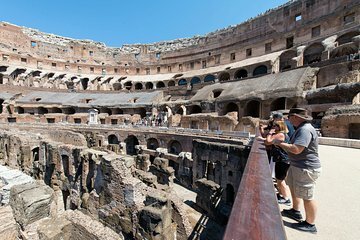 Get a view of the Colosseum the way gladiators once saw it on a private tour of Rome’s mightiest attraction. Bypass the main entrance and follow in the footsteps of these ancient warriors as you step inside the arena from a special staging area. Learn about the bloody battles and ceremonies that took place here on the tour of the main levels plus the underground, and then contrast the life of Roman nobility and commoners on a walk through Palatine Hill and the Roman Forum.